A RARE APPORTUNITY TO ACQUIRE A FREEHOLD INVESTMENT IN CENTRAL LONDON. OFF BAKER STREET A TERRACED HOUSE CONVERTED INTO THREE SELF CONTAINED STUDIO FLATS ON TOP OF RESTAURANT ON GROUND FLOOR AND BASEMENT. EACH STUDIO HAS A SEPARATE KITCHEN, SHOWER- ROOM, ELECTRICITY METER AND GAS CENTRAL HEATING SYSTEM. 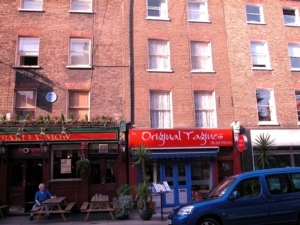 AN A3 USE FOR THE GROUND FLOOR AND BASEMENT LEASED ON A TEN YEARS LEASE TO A MORROCAN RESTAURANT. MAISONETTE PRIVATE OFFICE. POTENTIAL TO EXTENTED.